I wish I could tell you all the ways how working with Lexi was beyond incredible for me. We spent an entire year creating the most perfect website, and we are both insanely proud of the outcome. Not only have we built something that will last for several years, it is unique, personal, and screams Glitter, Inc. Lexi stretched my skills with this design, and we built custom elements from the ground up for her — meaning you’re not going to find them anywhere else! 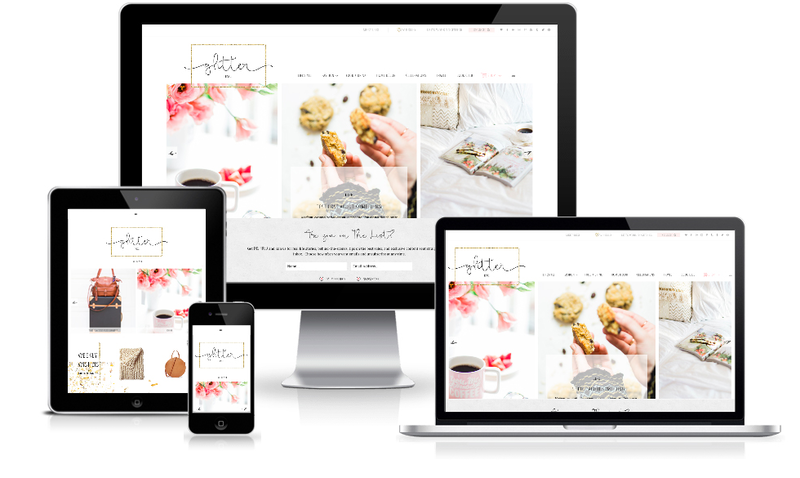 This custom website design features: a filterable book club, several custom widget areas on the homepage, an interactive sticky menu, a slide-out sidebar, a beautiful about page with custom post area, two filterable category pages (here and here), and a fully customized travel page.